Splatter: Just Harder Times lives up to its name. 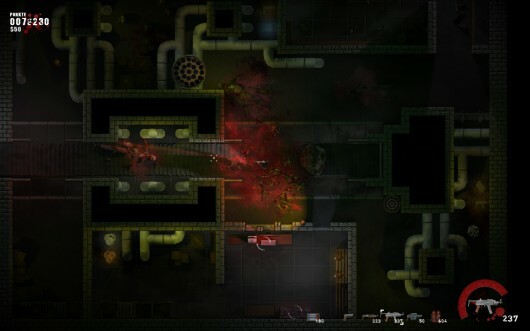 Developer Dreamworld’s dark and brooding top-down shooter features more blood, guts and carnage than you can shake a spleen at. While the German developer’s latest game without a doubt brings the gib-filled carnage in spades, is there more to this game than wanton slaughter, or is Splatter: Just Harder Times nothing more than a zombified one trick pony? In Splatter: Just Harder Times you play as Max, a man disillusioned with society who just wants to live in quiet solitude, free of the rot of the world. Little does our brooding hero know he’s soon to find himself up to his eyeballs in the fetid remnants of humanity. One night, chaos suddenly erupts in his town and the streets are overrun with an army of undead horrors. Now it’s up to Max to fight through the demonic onslaught and get to the bottom of what caused all Hell to break loose. Luckily for you, blasting the chunky stuffing out of the undead legions in your quest for answers is a bloody good time. Splatter is a top-down shooter at its core. 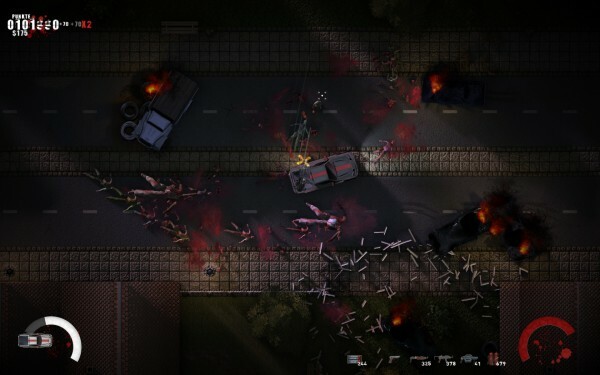 Featuring a control scheme similar to titles like Hotline Miami, players maneuver around the ruined cityscape with the keyboard while aiming and shooting 360 degrees with the mouse. Each mission begins with a black and white graphic novel styled cutscene featuring Max delivering hard boiled monologues that can best be described as “Gore Noire”. These gritty cinematics help immerse you in the game’s story, however, there are quite a few rough spots in the game’s English translation, making some of the dialog a bit hit or miss. Even still, the game features more storytelling than you’ll likely be used to seeing in a twin-stick style shooter, which is definitely a plus. When the action begins you’re thrown into an area filled with hundreds of zombies, demons and other freaks that go bump in the night as you run, shoot and defend against wave after wave of enemy ghouls. 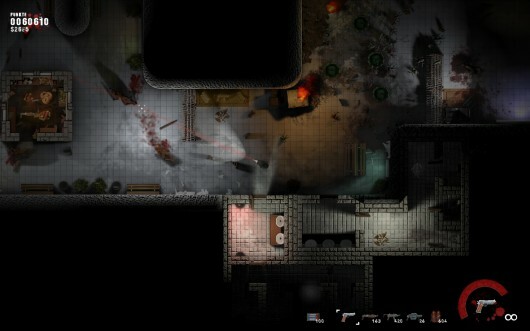 The game’s stages are sprawling and dark, making use of your flashlight and handy supply of flares (which also happen to incinerate and scare away undead) a necessity in the game’s dimly-lit locales. While the combat can be fast and frenetic, the quiet moments in dark narrow corridors can be just as intense, forcing players to rely on the narrow beam of their flashlight and sense of sound to detect lethal enemies just waiting to pounce on hapless players. It’s moments like these that can make Splatter: Just Harder Times feel like a mashup of Diablo and Resident Evil at times, offering an intense blend of methodical pacing and wholesale top-down slaughter. When the gibs do hit the fan though, be ready. It’s not uncommon to be swarmed by scores of enemies at once. From hulking behemoths who smash the ground, sending damage-inflicting shockwaves at the player to swarms of insectoid monsters and fireball hurling demons who look more than a bit like the imps from Doom, you’ll find yourself knee deep in the dead countless times before the credits roll. Thankfully, the game’s engine is up to snuff. While not the most gorgeous game I’ve seen by a stretch, the moody lighting and droves of enemies look good and match the game’s horror theme perfectly, all without any hint of slowdown, even in the most turbulent encounters. Speaking of butchering droves of undead, what fun is a shooter without an arsenal of exciting weapons? Max gets his hands on a wide variety of weapons throughout the game. Starting with a measly pistol, you’ll work your way up to submachine guns, shotguns, flame throwers and even laser rifles as you build up your zombie eradicating arsenal. While exploring the sprawling stages you can stock up on hidden cash to purchase upgrades too, allowing you to turn even the most basic weapon into a devastating implement of destruction. Upgrading your arsenal is fun and essential to progressing through the game’s more chaotic segments, ensuring players will spend plenty of time scouring for hidden loot in the game’s roughly 4 hour long campaign. Don’t let the sound of your newly pimped-out hand cannon drown out the music. Splatter features a solid soundtrack that alternates between haunting electro tunes befitting of any horror flick to adrenaline-filled buttrock to compliment the game’s large scale assaults. Some tracks are more forgettable than others, but I largely enjoyed most of the soundtrack. Weapons also pack a nice and beefy punch, with each bang and rumbling explosion offering a raw sound of impact, making each kill that much more satisfying. In addition to upgrading your weapons, Splatter also features a few light RPG elements, such as interacting with NPCs and taking on side quests. Choosing to interact with certain NPCs can provide you with some helpful backup, and taking on quests given to you at various points in the game’s story can reward you with some of the game’s most powerful firepower. Thankfully, these side quests are just as enjoyable as the game’s main story missions, full of intense firefights, exciting boss encounters and the juicy viscera the game gets its name from. Very seldom will you leave a room in Splatter without leaving a mountain of bullet-riddled corpses at your feet. When you’ve finished blasting your way through the game’s brief but thoroughly enjoyable single player campaign, Splatter: Just Harder Times also features local multiplayer where players can compete in a rather basic deathmatch mode, or team up together in the insanely addictive Survival Mode to see how long they can last against a never ending horde of monsters. Featuring nearly 20 maps, Survival Mode is a wickedly fast and frantic affair with the kind of instantly addicting gameplay I haven’t experienced since first laying my grubby paws on Geometry Wars, making it a standout part of the blood-soaked package. Overall, I was very pleasantly surprised with what developer Dreamworks did with Splatter: Just Harder Times. 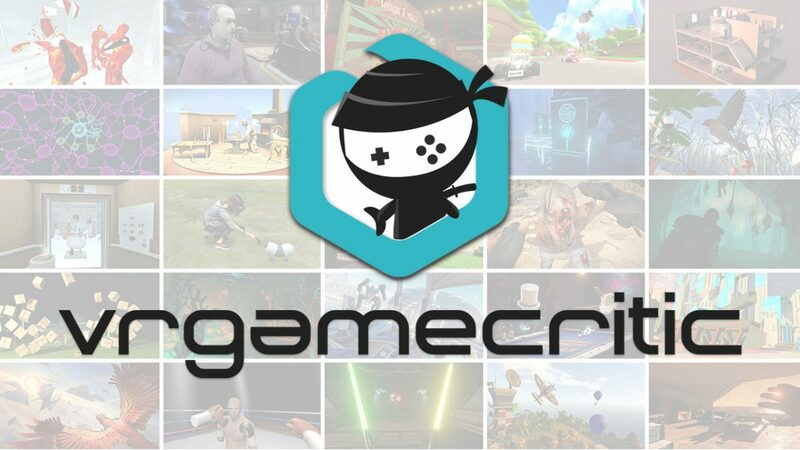 The game finds the perfect balance between arcade style action and tense, smart gameplay. While the game’s main campaign is well worth the $9.99 asking price, the adrenaline packed survival mode is icing on the cake, and nearly as enjoyable as the story mode itself. While Dreamworld’s uneven translation leaves much to be desired and the deathmatch mode is pretty bare bones, these are minor flaws when compared to just how much Splatter does right. If you’re a fan of twin-stick shooters or enjoy a good horror action title, Splatter: Just Harder Times is well worth your time and money. I score this trigger-happy bloodbath 4 sticks out of 5.